Abubakar Shekau, leader of Nigeria’s Boko Haram, has publicly declared allegiance to ISIS and the group’s occupation of territory mirror’s ISIS’s own tactic in Syria and Iraq. A major risk of ISIS establishing itself in Africa is through the continent’s organized jihadi groups. This begs the question: Does ISIS has a relationship with these groups? 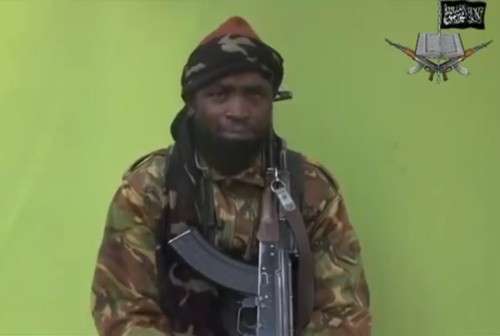 In July, Shekau publicly declared support for ISIS. What is interesting about his declaration is that Shekau thanked, prayed for, and equally praised three famous jihadi leaders: Abu Bakr Al-Baghdadi (ISIS), Dr. Ayman al-Zawahiri (Al-Qaeda), and Mullah Omar of the Taliban. A point worthy of further analysis is whether these three groups are perceived, by the group’s leadership, as having the same status as Boko Haram. Boko Haram however, seems to considers itself to be an independent jihadi group that shirks alliances and entanglements with global jihadi groups. The US State Department has ruled out any affiliation between Al-Qaeda central. Shekau’s public support for ISIS can also be explained as simply being a demonstration of this erratic figure’s penchant for self-promotion. Al-Qaeda in the Islamic Maghreb (AQIM), a branch of Al-Qaeda central under the leadership of Abdelmaled Droukdel and operating largely in Algeria and northern Mali, has rejected ISIS’s claim of being an Islamic caliphate. Last July, Droukdel emphasised that the group’s Bay’at (oath of allegiance) to Zawahiri still stands. But several AQIM splinter groups have emerged lending their support to ISIS. AQIM’s former judge of its central region, Abu-Abdullah Othman al-Asemi, is one notable figure to have come out in support. Another group, naming itself Jund al-Khilafah (Soldiers of the Caliphate), split with AQIM and pledged support to ISIS. For the time being, Al-Qaeda loyalists are reigning in the Maghreb countries, particularly in Algeria and Mali, but the equation might change if ISIS expands outside the Levant. AQIM under Droukdel is a self-sufficient group and has, since 2003, amassed about $50M from kidnappings for ransom. Tunisia has become an incubator for jihadists fighting in Syria and Iraq. It is not entirely clear how many Tunisians are currently fighting along with ISIS but Abdel Bari Atwan, former editor of London-based Al-Quds al-Arabi and an authority on Arab jihadi groups, estimates the number of Tunisian fighters in Syria and Iraq at about 5,000 and Algerians at 2,000. Of the ten countries that have sent the most fighters to Syria and Iraq, according to a chart compiled by the BBC, three (Tunisia, Morocco, and Libya) are in North Africa, with Tunisia supplying around 3,000 men. The latter is close to the conservative figure of 2,400 that Tunisia’s Interior Ministry has officially declared. According to Al-Shorouk, a Tunisian newspaper, the majority of Tunisians are with ISIS, whereas Algerians and Moroccans fight with the Al-Nusrat Front (an Al-Qaeda affiliate). The Tunisian government claims that 400 Tunisian jihadists have now returned to the country. What is interesting is that 9,000 young Tunisians have been prevented from going to Syria and Iraq by their government. Recently, there have been skirmishes between Tunisian jihadists who had fought with ISIS and those who fought with Al-Nusrat Front within the country. A splinter group of AQIM called Uqba Ibn Nafi Brigade has declared its support of ISIS. There are fears that these armed clashes might lead to a bloody war between these two jihadi wings, similar to the battle brewing in Syria between ISIS and Al-Nusrat. This will place an extra burden on Tunisia’s security services, which are already overstretched in preventing unrest in Libya from spilling over into their country. Thanks to Qatar’s massive funding of Libya’s jihadists and the militants’ inheritance of Qaddafi’s huge weapons stockpile, Libyan fighters are active in Syria and fight under the ISIS banner. What distinguishes Libya from other North African jihadists is its hardware. According to a UN report released in March 2014, Libya has become an important source of arms for the fighters in Syria. There are also reports that a Libyan militia named al-Battar Brigade has returned from Syria and established itself in Benghazi. In August 2014, Abu al-Ayna al-Khorasani, an ISIS leader, publicly asked Al-Shabaab to join what he called “the global fight against American interests.” Surprisingly, Al-Shabaab’s leadership ignored the plea. The African outfit is an Al-Qaeda affiliate and is unlikely to associate itself with ISIS’s caliphate in the foreseeable future. Unlike Boko Haram and ISIS, Al-Shabaab does not call itself a caliphate but instead has used the term “˜emirate’. Ahmed Diriye “˜Abu Ubaidah’ the new emir wasted no time after his selection last month in declaring his allegiance to Zawahiri. Moreover, Al-Shabaab has close ties with Al-Qaeda in the Arabian Peninsula (AQAP). While the relationship between these two groups is not operational, it does involve consultation, mutual moral support, and the transmitting of vital information between Al-Shabaab and Al-Qaeda central. There are reports that some foreign jihadists have left, or attempted to leave, Somalia to fight with ISIS. These jihadists became disenchanted with the Al-Shabaab leadership and have been hiding in Somalia for fear of being hunted by Ahmed Godane, the group’s former emir. According to some sources, Kenya has arrested a small number of these foreign jihadists as they were leaving Somalia, but Nairobi has yet to issue a statement on this matter. There are documented cases of a small number of young Somalis, men and women, in North America and Europe who have joined ISIS. The phenomenon of Somali women in the west joining ISIS is new. Even at the height of Al-Shabaab’s recruitment of Somalis in the west several years ago, no female recruits joined them. ISIS, however, targets these women from the West to marry its fighters. Al-Shabaab, on the other hand, prefers its female supporters in the West to raise funds for the group. ISIS is no ordinary jihadi group. It has huge wealth at its disposal. An American intelligence official has told the Guardian that the radical group doubled its assets after it captured Mosul from $875M to $2B, making it the wealthiest jihadi group in the world. For instance, ISIS controls 6 of Syria’s 10 oil fields, not to mention other oil fields in Iraq. ISIS is consequently capable of financing Africa’s jihadi groups. ISIS is wining its competition with Al-Qaeda central. ISIS’s ability to lead a standing army, its panache in the social media and propaganda, and its cruelty in dealing with what it perceives as “enemies of Islam” are helping it to win followers. Paradoxically, in comparison with ISIS, Al-Qaeda central now appears soft. Furthermore, Al-Qaeda neither has financial resources nor controls substantial territories. Worst of all, Zawahiri’s group has not carried out any spectacular terror act, in the eyes of global jihadists, since 2001. Some of the Al-Qaeda affiliate leaders in Africa such as Mokhtar Belmokhtar, Abdelmaek Droukdel, and Mohamed al-Zahawi of Ansar ash-Sharia of Libya are veterans of jihad who fought with Osama bin Laden. Their loyalty is with Al-Qaeda and their colleague Zawahiri. However, these leaders lead a younger generation that has less attachment to Zawahiri, whom they see as not being inspirational or charismatic like bin Laden. The young North African jihadists are itching for action and are less interested in watching video tapes of Zawahiri hiding in the confines of Pakistan’s tribal areas. ISIS is preoccupied with the Levant now but has ambitiously vowed to expand its caliphate to the rest of the world and certainly values the addition of more African fighters to this end. Mohamed al-Aroui, the spokesman of Tunisia’s Ministry of the Interior, has lamented that “the only way to deal with [jihadists] is with the stick.” Unfortunately, in their August meeting, Africa’s spy chiefs missed the point when they failed to address the options of fighting jihadists through social media, curtailing government corruption (a major recruiting tool for jihadists) and dealing with the root causes of the alienation of Africa’s youth.